Gov. Bill Walker announced three new nominees to the Board of Fisheries on Feb. 2, including one who lost a bruising confirmation fight to the same body in 2015. Walker once again put forward Kenai area habitat advocate Robert Ruffner for a seat on the board, but this time his nomination has been promised to go smoother after a campaign waged against him last year by sportfishing advocates that resulted in a 30-29 defeat in the Legislature. Walker had at least two openings to fill with the resignations of Bob Mumford and Tom Kluberton, but he also announced he is replacing Dillingham commercial fisherman and current board member Fritz Johnson, who was nominated to the board in 2013 by former Gov. Sean Parnell. Ruffner received the governor’s call on Feb. 1, and after a talk with his wife decided he was up for another round. In a telephone interview, he said he still has plenty to offer the board, though the nomination came as a surprise. Ruffner said believes this year won’t breed the same kind of ugly political fighting that led to his narrow Legislative defeat in 2015. “I have had the assurances that it won’t happen, and I hope it won’t,” he said. Ruffner’s “assurances” from the governor’s office are well-founded. Sportfishing industry representatives said they support all three of Walker’s appointments, including Ruffner. They don’t anticipate the same legislative fracas for Ruffner, as Walker is nominating him to replace a commercial fisherman on the board rather than a sportfishing seat. “We support all three of the governor’s appointments,” said Ricky Gease, executive director of the Kenai River Sportfishing Association, which led the fight against Ruffner in 2015. Gease said the sportfishing industry’s issue with Ruffner last year concerned board composition, which isn’t an issue in the current board lineup. In 2015, Ruffner would have replaced Karl Johnstone, the former chair and a sportfishing industry representative on the board. Gease’s organization wanted to ensure that the sportfishing interests of the Anchorage area, which they emphasized are the state’s largest, were satisfied. Gease, like Ruffner, said he interprets the nominations as a signal that Walker is willing to shake up the board’s customary user group and geographical designations. Fritz Johnson, a Bristol Bay commercial fisherman, was not reappointed, leaving the board without a Bristol Bay representative. Ruffner seemed pleased with Walker’s full nominee list. He said it indicates a willingness on the governor’s part to alter the current custom of stacking the board with equal numbers of competing interests. “Most of the drama,” he said, comes from Upper Cook Inlet. He said he hopes he can “roll up his sleeves and go to work” on statewide issues. Besides Ruffner, Walker nominated Alan Cain and Israel Payton for seats on the board. Cain, of Anchorage, is a natural resources enforcement advisor and trainer, with 40 years of experience as an Alaska Wildlife Trooper, criminal justice planner, and private contractor. Payton, of Wasilla, is currently a salesman for Airframes Alaska and has worked as a hunting and fishing guide in Southcentral and Western Alaska for 20 years. According to the release, Payton is from Skwentna and grew up living a subsistence lifestyle. He’s also a member of the Mat-Su Fish and Game Advisory Committee. With the 2017 Upper Cook Inlet meeting approaching, the nominations are sure to draw scrutiny from user groups and legislators in the area. The fight over Ruffner began last year after Walker ousted the previous board chair Karl Johnstone, a representative of the sportfishing users, and replaced him with commercial fisherman Roland Maw, previously of the United Cook Inlet Drift Association. Maw withdrew from consideration on Feb. 20, 2015, as he faced charges for illegally obtaining resident hunting and fishing licenses in Montana, leading Walker to nominate Ruffner, who was painted as too sympathetic to commercial interests and not representative of the state’s population center in Anchorage and the Mat-Su Valley. Maw was charged Jan. 13 by the State of Alaska with 12 felonies and five misdemeanors for illegally obtaining Permanent Fund Dividends and resident hunting and fishing permits in Alaska. After Ruffner lost his bid for confirmation, Walker eventually named Mumford to serve in the interim, but Mumford recently tendered a letter of resignation effective at the end of the current board meeting cycle in March. Walker also nominated Guy Trimmingham of Hope, a veteran hunting guide, and reappointed Nathan Turner, a wilderness trapper from Nenana, to the Alaska Board of Game. JUNEAU — A former Alaska Board of Fisheries nominee has pleaded not guilty to 17 felony and misdemeanor charges that he fraudulently obtained commercial fishing permits and Alaska Permanent Fund dividend payments. Roland Maw entered his plea Feb. 2 in court in Juneau to the 17 counts covering theft and unsworn falsification. Maw was charged on Jan. 13 with illegally collecting more than $7200 in dividends between 2009-2014. His lawyer, Nicholas Polasky, said his client declined to comment after the hearing. Gov. 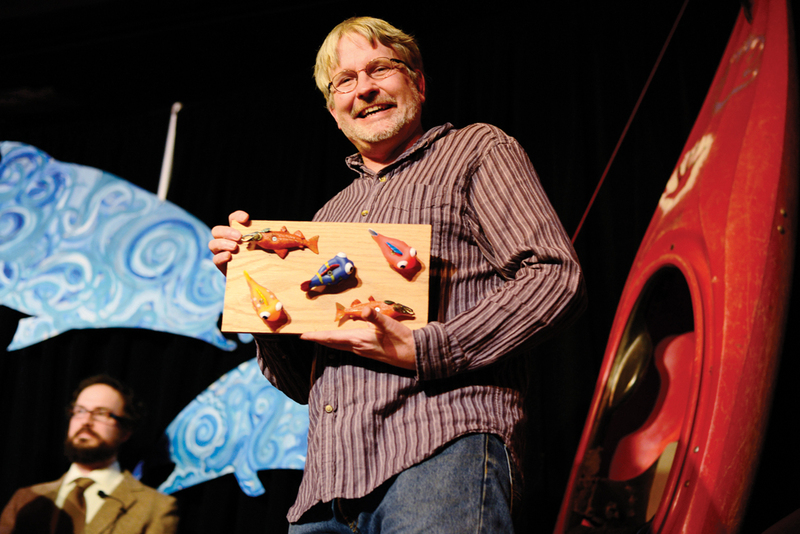 Bill Walker appointed Maw, a Cook Inlet commercial fishermen, in January 2015. He withdrew his name from consideration suddenly last February and faced criminal charges that he illegally obtained resident hunting and fishing licenses in Montana. He pleaded no-contest to the charges, paid more than $7,200 in fines and lost his privileges to hunt and fish in Montana and all of the Wildlife Violator Compact States, including Alaska.